Ensemble a la Carte is composed of musicians from the greater Washington, D.C. area and is dedicated to exploring the vast variety of styles, arrangements and timbres used in chamber music (and served “well-done ” on our menu). 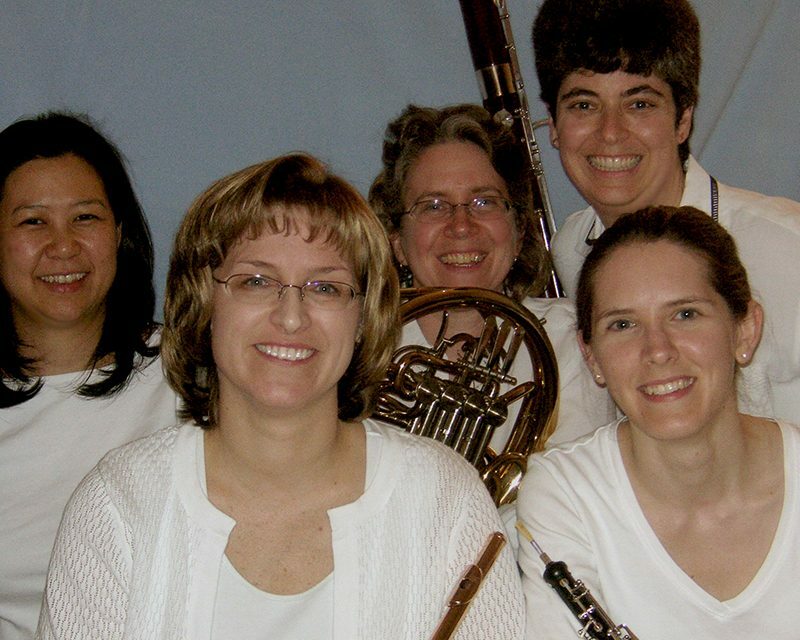 Although the core of the ensemble consists of the traditional woodwind quintet (flute, oboe, clarinet, bassoon and french horn), the ensemble enjoys the infinite possibilities afforded by chamber music by expanding and contracting to perform music written for as few as 2 instruments to as many as 13. 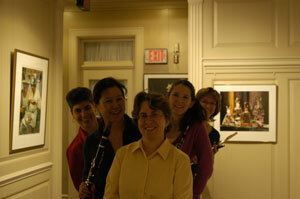 In addition to performing fabulous music, Ensemble à la Carte’s concerts are a treat for all of the senses. We include traditional program notes, fun, interactive and informal conversations about the music and composers, and, when circumstances permit, a “meet and greet” reception following the concert. It is our way of saying thanks for coming and inviting the community to become part of our chamber music family. 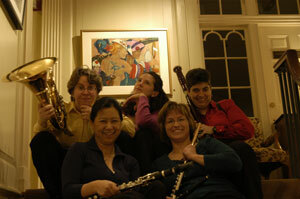 The members of Ensemble à la Carte are a diverse group of individuals, each bringing their unique experiences and interpretations to every performance. They are trained classical musicians, business professionals, teachers and mothers; and the music we present is as varied as we are. 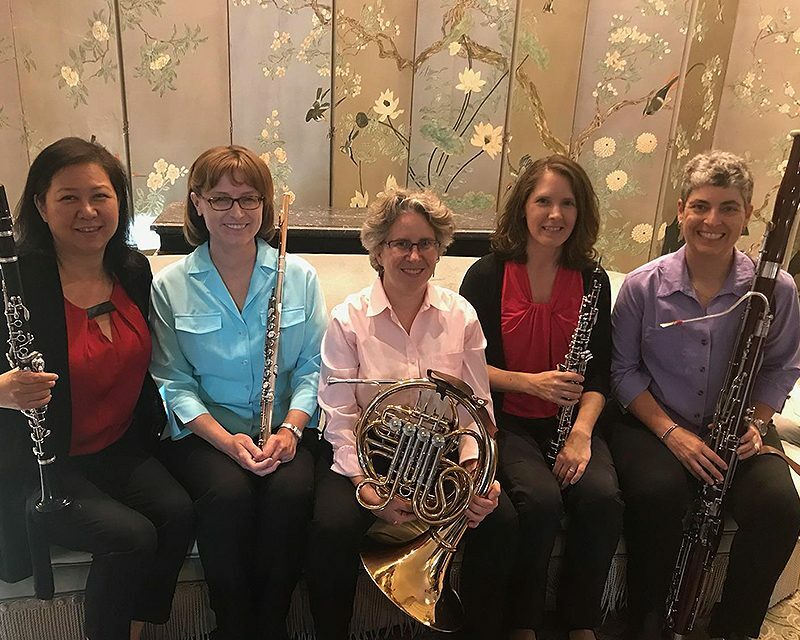 Ensemble à la Carte is enjoying its fifth season of playing together as a group, though members have all known and played with each other for years in various established orchestras and ensembles in the Washington, D. C. area. Ensemble à la Carte enjoys the challenge of programming their concerts with an imaginative mixture of music; the ensemble also makes a concerted effort to foster the symbiotic relationships between composers, musicians, and the listening community. 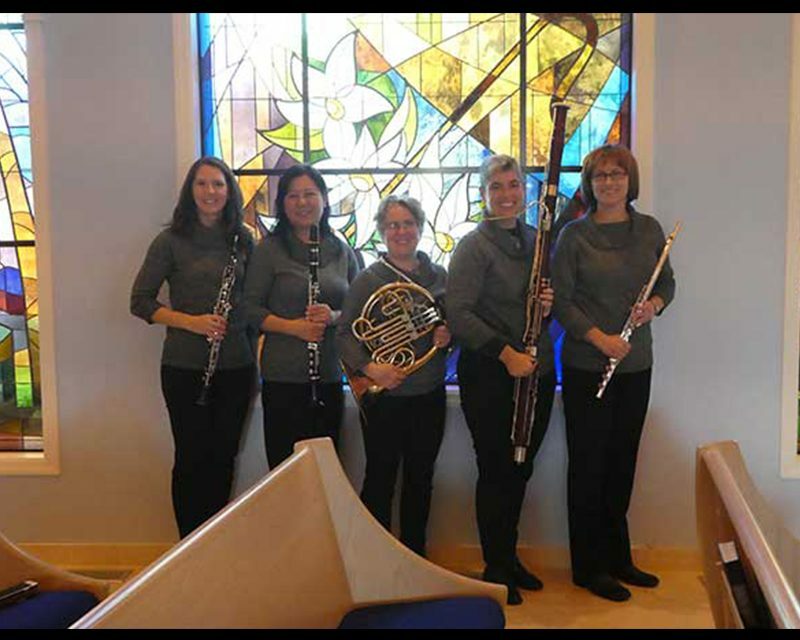 They have a special affinity for presenting interesting works by living composers and have premiered works by several local composers including Ronald Dicus, David Rubinstein, Lawrence Heinen, Eugene Saunders, and have worked extensively with local composer Brian Wilbur Grundstrom. By communicating with and encouraging composers to participate in the rehearsals and concerts (with informal programmatic notes written and verbal, as well as participating in post-concert “meet and greets” ) we hope to inspire new compositions and to introduce a vast array of new and pleasurable works to our audience. That said, it is the audience that drives our programming. Each Ensemble à la Carte concert is tailored to that specific audience, with the goal of presenting entertaining music that is interesting, challenging and audience accessible.